Learn how to cook from the comfort of your own home. Do you want to learn how to cook but don't want to take an online course? Would you rather have someone teach you in the comfort of your own home? 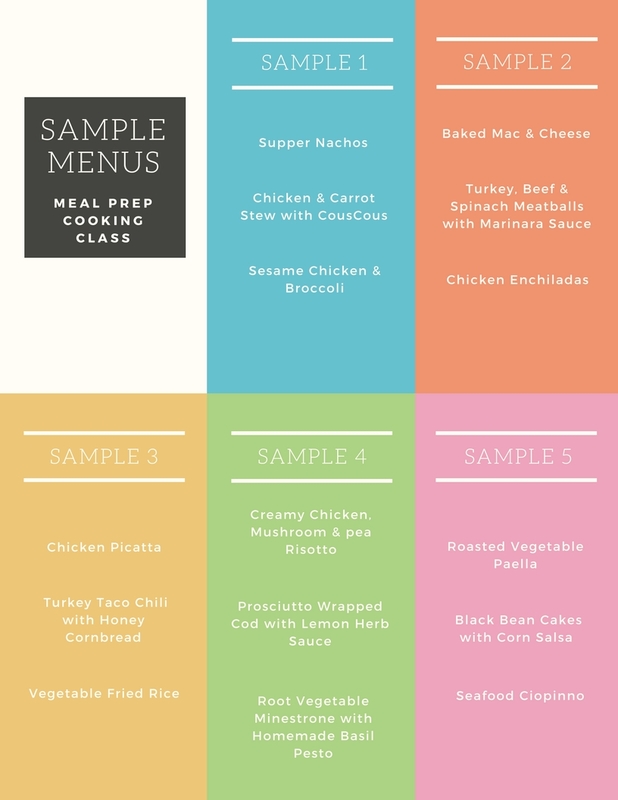 I offer in-home cooking and meal prep classes to those living in the Boston and Cape Cod area, so that you can have a one on one lesson that teaches you exactly what you want to learn. Each class is customized based on your specific needs, so whether you want to learn how to use a knife properly to learn how to chop, mince, dice and slice, or maybe you already know how and you're looking to learn more advanced techniques, I can help. I specialize in teaching young professionals and busy moms how to plan, prep, cook and store multiple meals at once, so that you can spend more time doing the things you enjoy rather than trying to figure out what's for dinner every night. 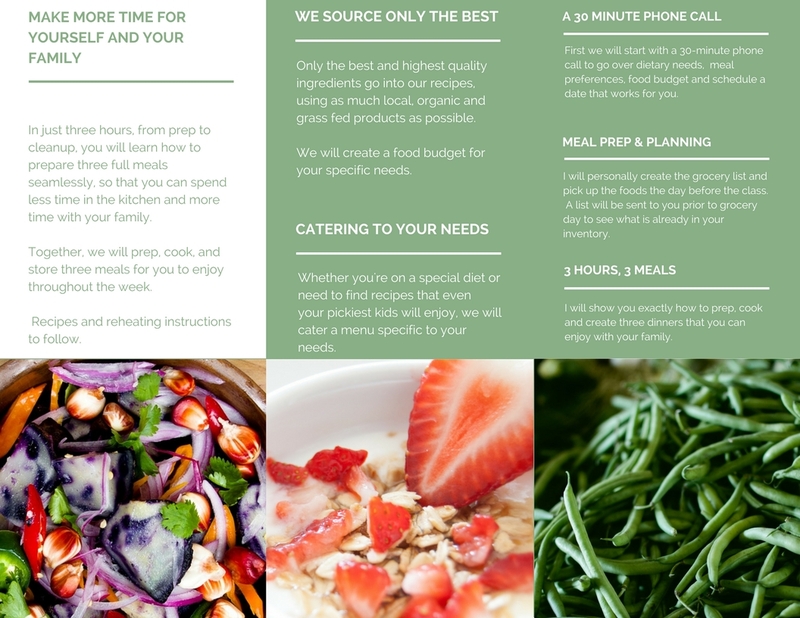 We first have a 30-minute phone call or in person consultation to discuss what it is you're looking for, any dietary restrictions or allergies, what your goals are with cooking and food, what your availability is, your food budget and most importantly, what your food likes and dislikes are. From there, I create a sample menu that gets emailed to you within 48 hours of our meeting. Together, we will build a customizable menu just for you, so you can look forward to your first class! Then a date is put on the calendar, along with a deposit. I will do all the grocery shopping, and all you have to do is have your kitchen cleaned and organized for our class. We will go through each step together, and by then end, you will have learned a ton, have meals in the fridge for the week and recipe and reheating instructions for everything. On top of being a self-taught cook with 10 years experience working with different cuisines and foods, I am also a Certified Holistic Health Coach through the Institute for Integrative Nutrition, and I am very comfortable working with different dietary needs. We can work out a customized plan specifically for you. Cooking 101 - How to Dice, Slice, Chop, Mince, Saute, Broil, Braise, Poach, Bake, Roast, Grill, etc. Cooking Basics - How to Make Sauces, Dressings, Pantry Meals and More. If you're interested in learning more or setting up a phone call, please email me at lauren@creativelydelish.com.